You need to run into the grocery store for a few items. Your child (pick any age) is in the car. To shop or not to shop? What do you need to have your child comply – candy, electronics*, or some enticement – to get through the activity with good behavior. Every parent faces these moments. All too often parents come into my office not realizing that their actions create more problems between them and their child. When your child is young, why do they act out? The four most common functions of a child’s acting out behavior are sensory, escape, attention, and tangible or SEAT. The why behind a child’s behavior can often fall under one of these categories. Back to the grocery store – it has music, fluorescent lighting, and lots of items to attract attention. A child’s sensory experience can be overstimulated – the S in SEAT. 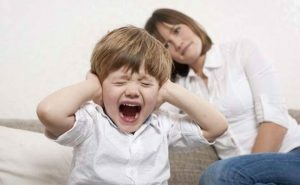 **It is important to note that the child expressing certain behaviors due to sensory input is not trying to misbehave and may actually be in physical pain. ** Try to be proactive: with younger children bring a toy or fidget, older children might want to hold onto the cart, and adolescents might be asked to find an item to put in the cart allowing them to focus on a task rather than the distractions. E in SEAT represents escape. I don’t know about you but grocery shopping or sitting at dinner with people I barely know is not my idea of a good time. Often adult obligations are a child’s fun-time nightmare. Kids will do whatever they can to get out of the situation and your first instinct may be to leave. If you believe that your child is acting out in order to escape a given situation the best thing you can do is stay. Find activities that may be engaging for the child. Come prepared with age appropriate distractions – coloring, I Spy, Cards, electronics*, etc. This doesn’t mean we can’t have them participate in the event; just know their limits and how far to push. A or Attention. If given enough positive attention children feel rich and if deprived, they may begin to seek it out in alternative ways. All too often we find ourselves ignoring them when they are behaving only to engage when they do something wrong. Attend to the positive and ignore the negative. This is often the most difficult for parents. We are programed to intervene when a child misbehaves; the very notion of planned ignoring is foreign, and must be practiced. T for Tangible. Your child will act out when they want something. The worst thing you can do in this situation is giving the child what they want in this moment. This is not to say we can never give our children treats or desired items. This is where planning comes into play. Before you begin a task or before you enter a location, speak with your child and establish the desired behavior, the rules, and the reward. Allow them to EARN the reward. It will give you the option of a dialogue about expectations and results if things go astray. Allowing them to work towards a reward gives them a way to feel accomplished. This is not an exhaustive account of the functions of a behavior. Parenting is not easy. You must know your child and explore things that work best for both of you. By exploring the WHY behind certain behaviors, parents can begin to redirect situations that may have negative outcomes. So, the next time your child melts down at the grocery store or can’t sit still at a restaurant, remember to take a SEAT before you take action. * Electronics and children – it’s a slippery slope. See my next two blogs about electronics &children and social media & mental health.